We have made it! Summer is just around the corner which means it’s time to brush the cobwebs off and clean up those cat paw prints over the windshield to get ready for the brutal New Zealand sun. 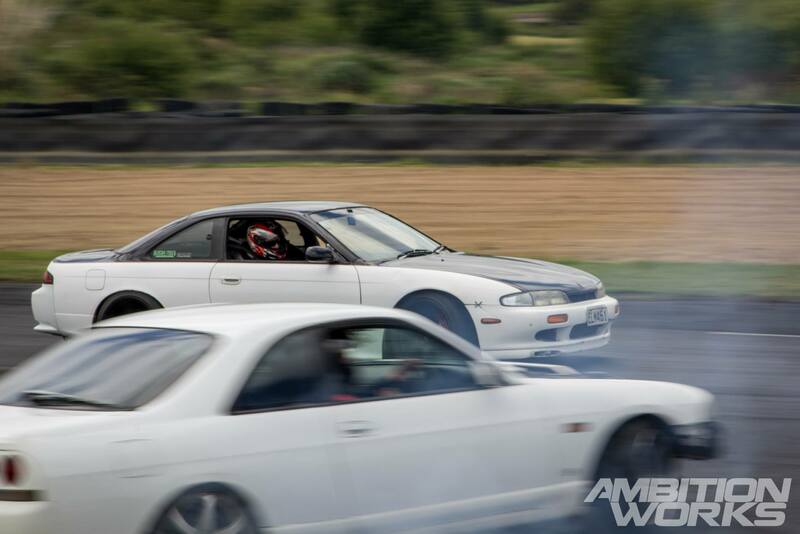 Driftjunkies vs Driftkana was the perfect drift event to start summer off with a BANG. The sun was shining and the cars were roaring, it doesn’t get much better than this folks. This particular event was forged from two separate events many years ago. 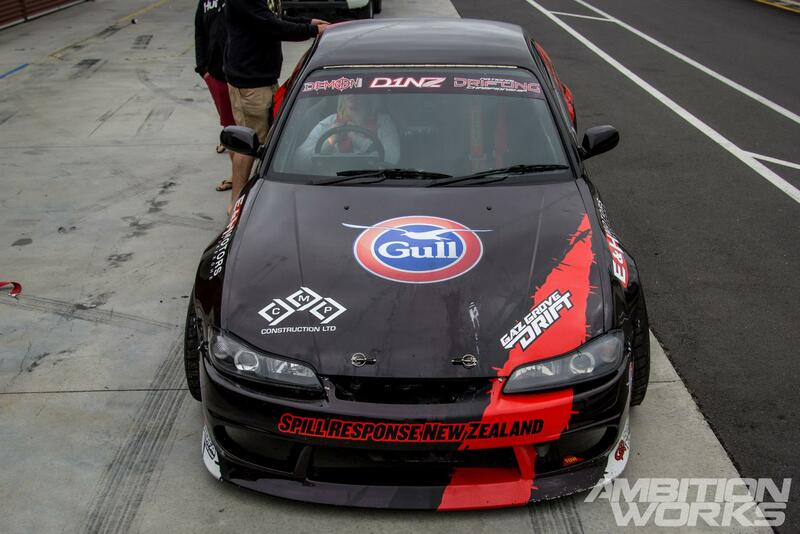 Dirftjunkies, which is purely run on the full track at Hampton Downs; for this you will need power and skill. 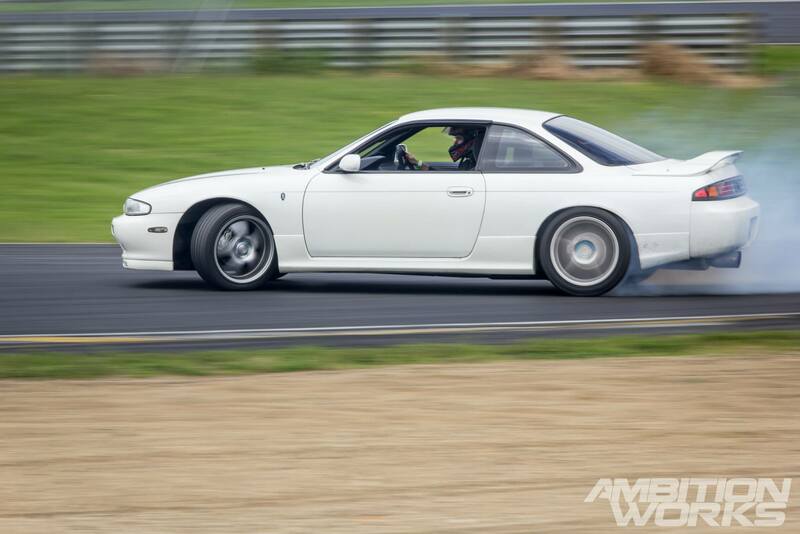 And Driftkana, which is run on the polished concrete pan in the middle of the track. It is a cone based track where skill is everything and power is nothing. 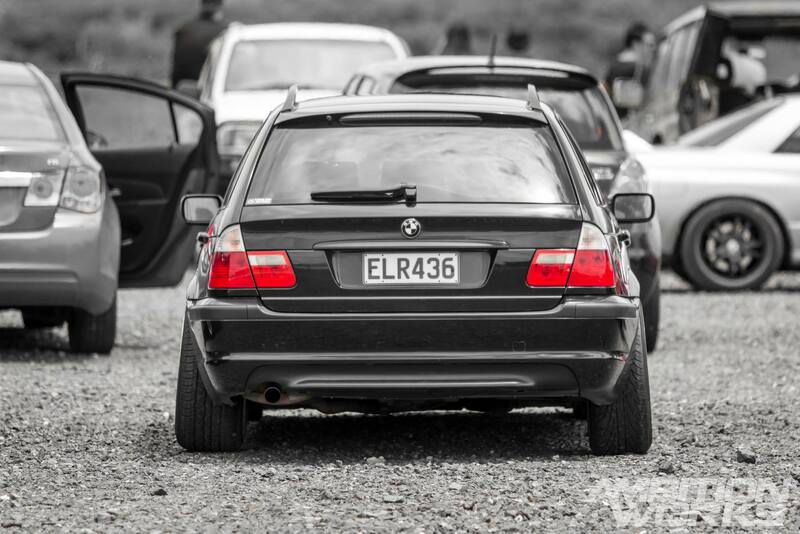 One of the awesome things about the New Zealand car scene is the diversity of cars we import over to our shores. 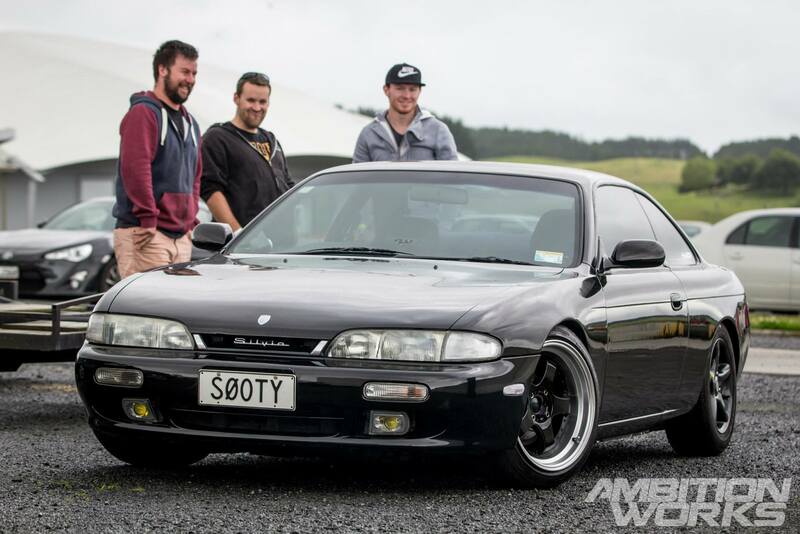 You can, and most likely will, find anything at a track day in New Zealand. 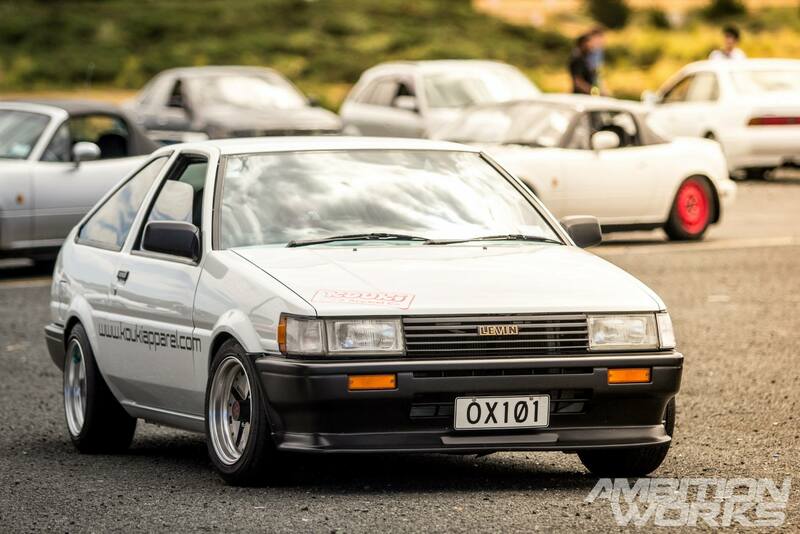 But… this day was packed with Japanese cars and dominating that field had to be the Nissan Silvia. Every morning when a track day follows I get up at 6.00am and get home at about 5.00pm, it’s a long day but totally worth every minute. I spend the morning drive planning out where I’ll go throughout the day as I tend to get trapped out on the other side of the track far too often. After arrival I spend an hour or so just taking everything in, I walk the pits a few times and prepare myself for a long day of shooting. 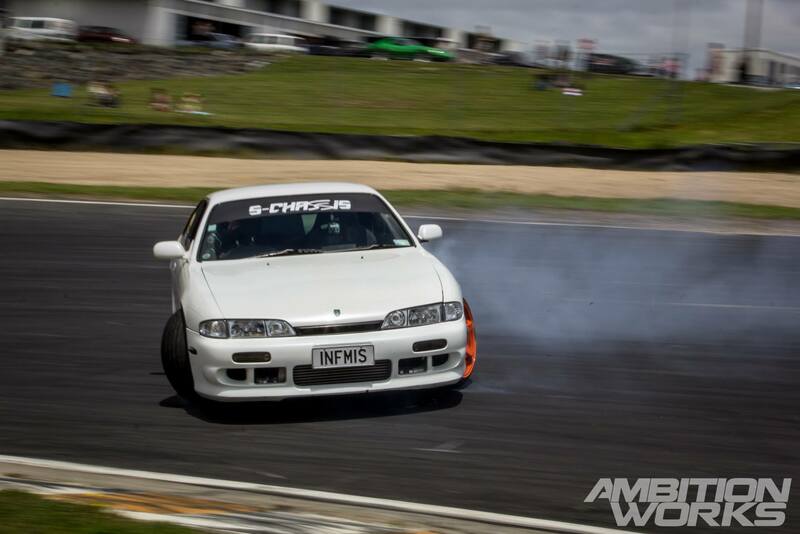 It doesn’t matter if you have never drifted a day in your life, or if you’re are a D1NZ Pro driver. 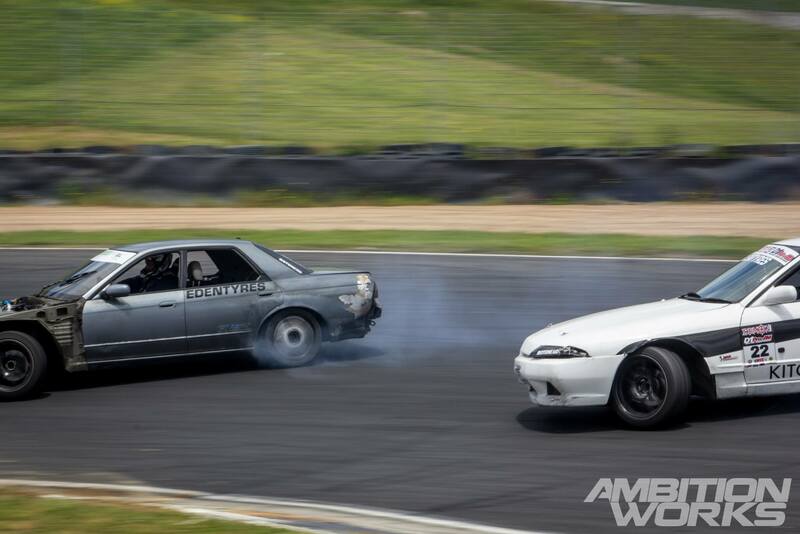 Driftjunkies vs Driftkana accommodates for everyone. Starting off on the pan and learning basic techniques you can gradually build up your skill until you can complete the whole course without spinning. Then it could be time to move up with the big kids on the track – but be careful these guys aren’t shy to knocking on your door! 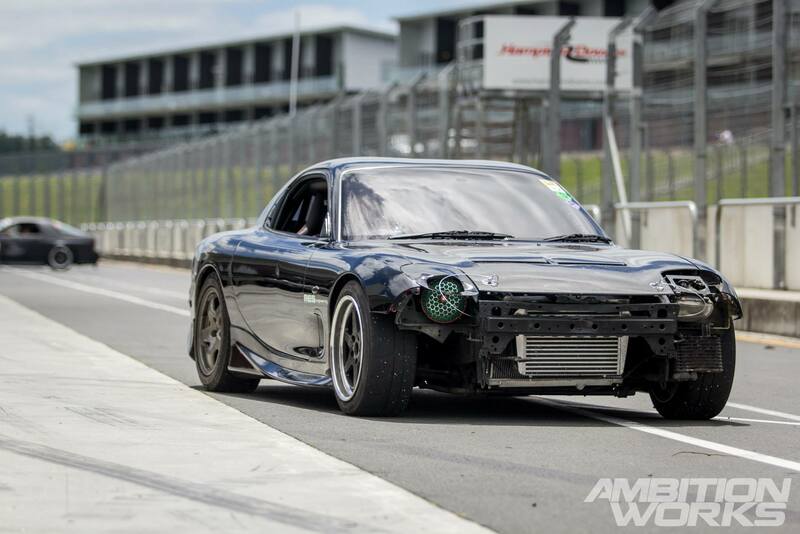 Here we have Daniel, he has outgrown the skid pan and moved on to the track. The track runs two classes, pro and beginner, so if you’re not up to door on door action the latter will apply. I’ve been keeping an eye on Daniel since his first day at Meremere and even though there was a few close calls, his skill is nearly pushing past what the sr20det engine can supply. The opposite is shown here. 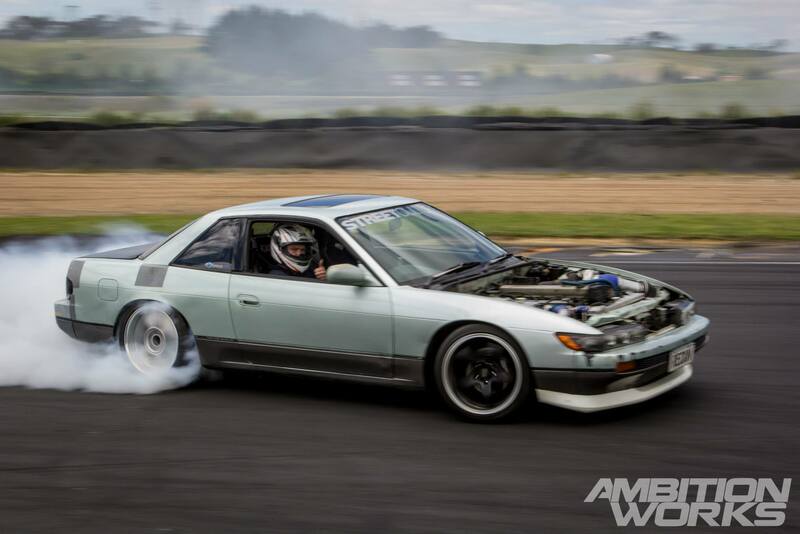 Tom, one of the ATJ team members from D1NZ showing everyone how it’s done, with insane angle and smoke clouds for miles the difference starts to show from a first timer, to a beginner, to a full time pro driver. This has got to be one of my favourite photos from the day. S15: check. Smoke: check. 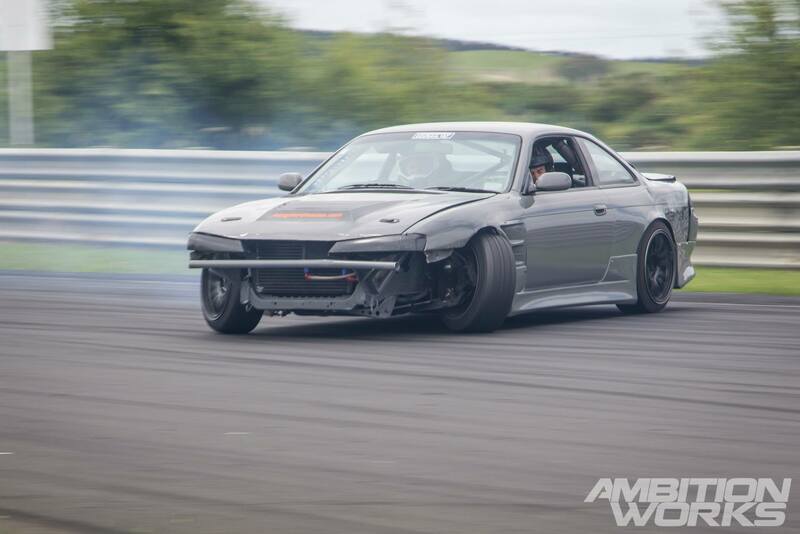 Sideways: check. 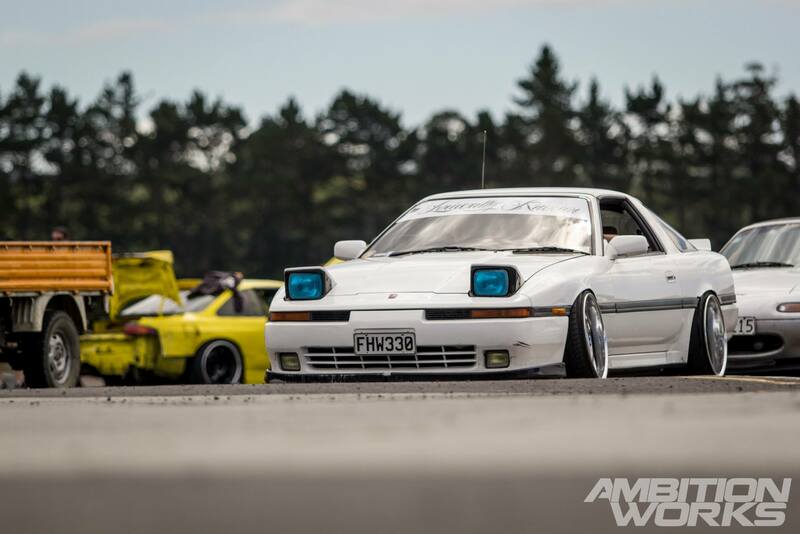 If I didn’t know this was New Zealand, I could have easily thought it was a drift day straight from the motherland of Japan. Riki’s new ‘Barney’ themed paint job is looking super tidy. I didn’t even recognise the car in the morning. Everything about this car is spot on, the extended front wheels, the aero, the massive wing and of course the skill to throw it in at well over 150km per hour! 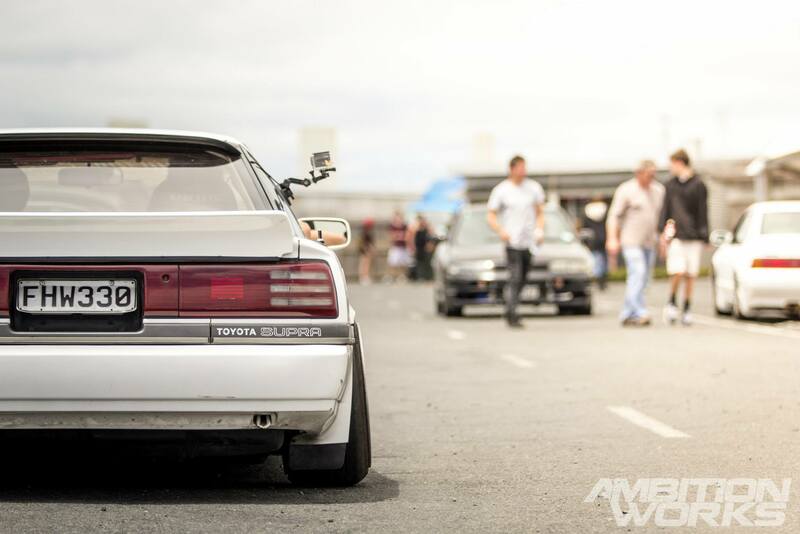 Not all drift days end with a happy ending though, but there is always a happy ever after. 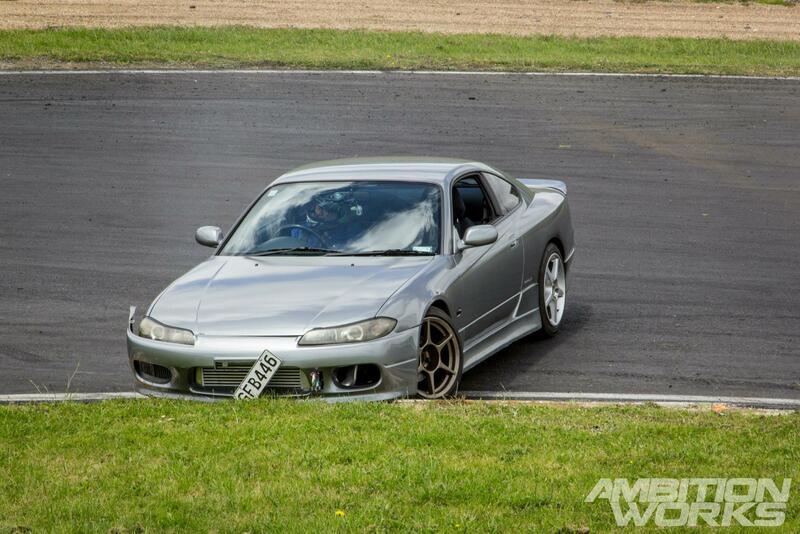 This S15 got stuck like this for a good ten minutes, so I sat down on the grass just watching, I may have had a sneaky chuckle. When ever I go to a track day to be a bright orange cone, I’m amazed at the amount of drivers that thinks it’s necessary to pose for the photo. And by that I mean every driver should do it and not enough do! It makes the picture that much more entertaining! 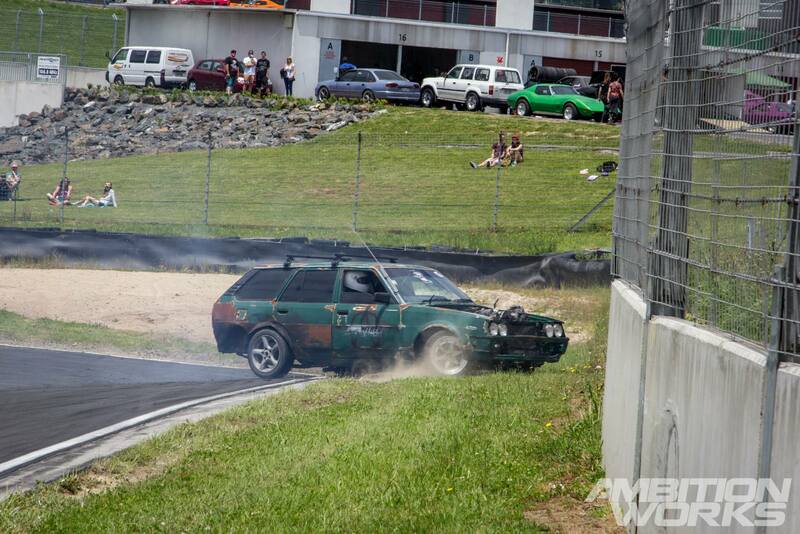 Corner two is probably the trickiest to get right at Hampton Downs. You either go in the wrong way and switch around the corner, start the drift at the corner the right way, or just back in at speeds my car can’t even reach. The balls on some of these drivers must be unfathomable. Turn three is usually a smooth third gear transition up over the hill and then down to a small straight. This is the best place for capturing massive lock, massive speed, and massive smoke! A bit like Meremere, the entrance to corner five is enclosed by a concrete wall and steel barriers with only a little bit of leeway for mistakes. Luckily for Joel, this little bit of grass saved him from grabbing on to the unforgiving concrete walls. Ouuhhh, the pits. What can I say. It’s such a great feeling to be surrounded by such a high caliber of cars in such a small area of the world. 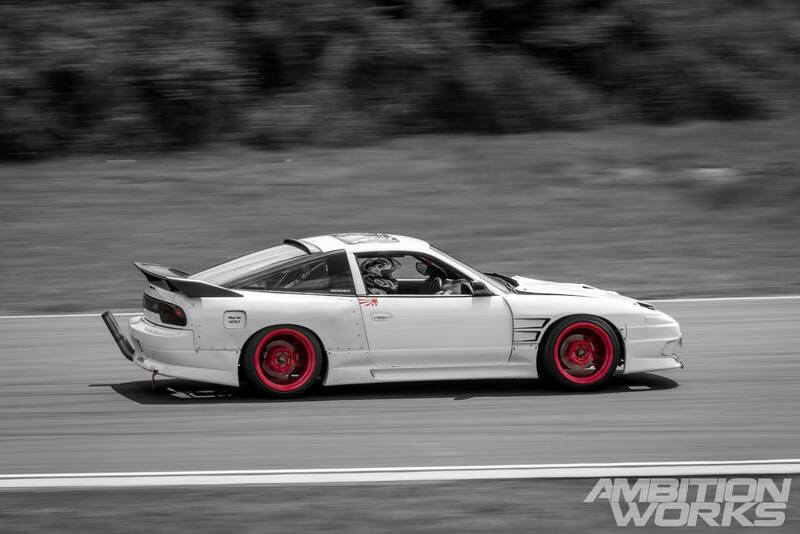 This S13 even though black, stood out immensely. I’m not usually a fan of black but this Silvia might be an exception. Not often do we get to see an RX-7 in New Zealand, this along with Supras would be a few of the cars we are low on with numbers. But what an iconic sports car from Mazda, even without the front bumper it’s still a machine of pure beauty. 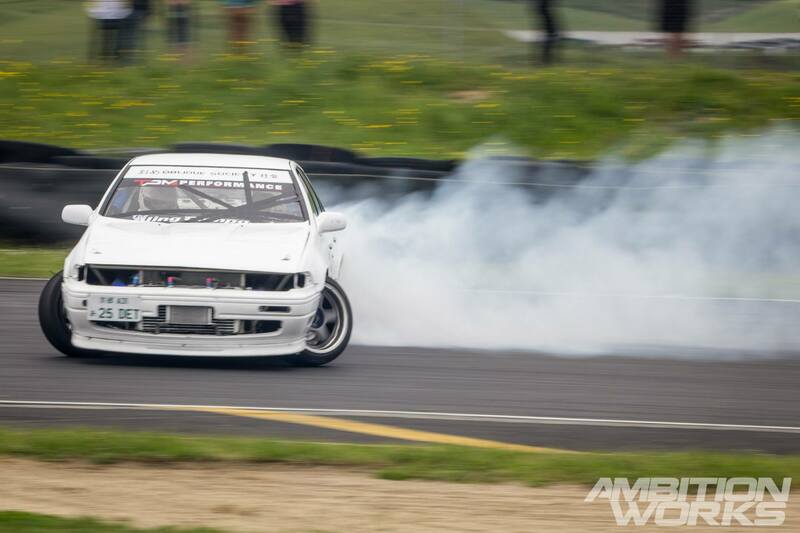 Obviously drifting is about having a blast and spreading the love. I have never met a drifter or grip racer that was rude or impolite. 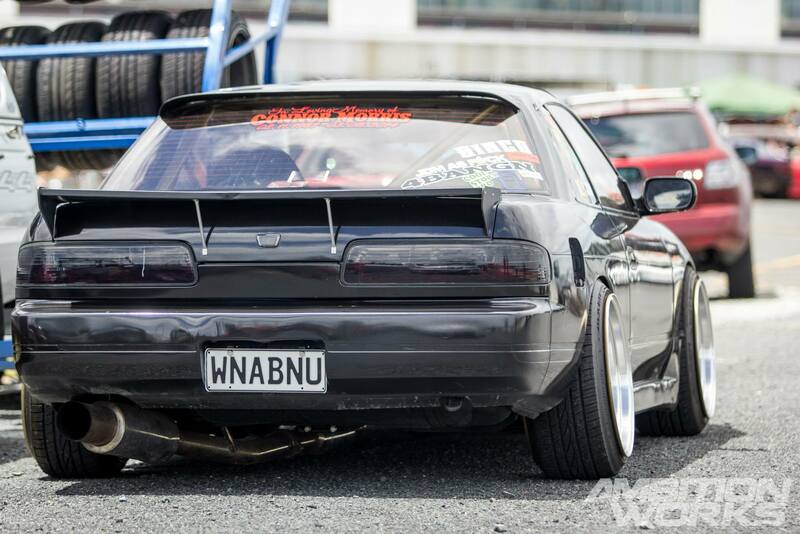 If you haven’t been around Hampton Downs sideways yet, these events are the perfect opportunity to do so. Find someone with a car that can take passengers and ask them ever so politely to take you out for a cheeky lap or two. I’m still struggling to warm up to Euros, maybe it’s because i’ve never owed one or that I like to fix my own cars (with the litte automotive knowledge I have). All reasons aside, I think if I had the keys to this badboy in my hands for a week my mind might be persuaded. Without the numbers on the back I’m lost for which model it is, but I know station wagons are hard to come by, and that fitment is oh so delicious. 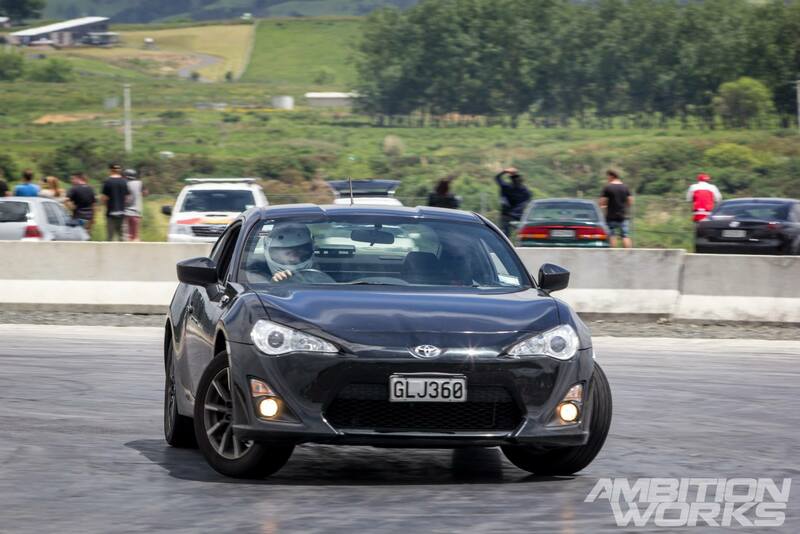 It’s not to often we get to see 86s at a drift day either in New Zealand, the main reason is our budget is so little, and the prices are so high. They usually hide out at grip racing days. Peter, although is a regular at these kind of events, and has mastered the pan. Turbo next? 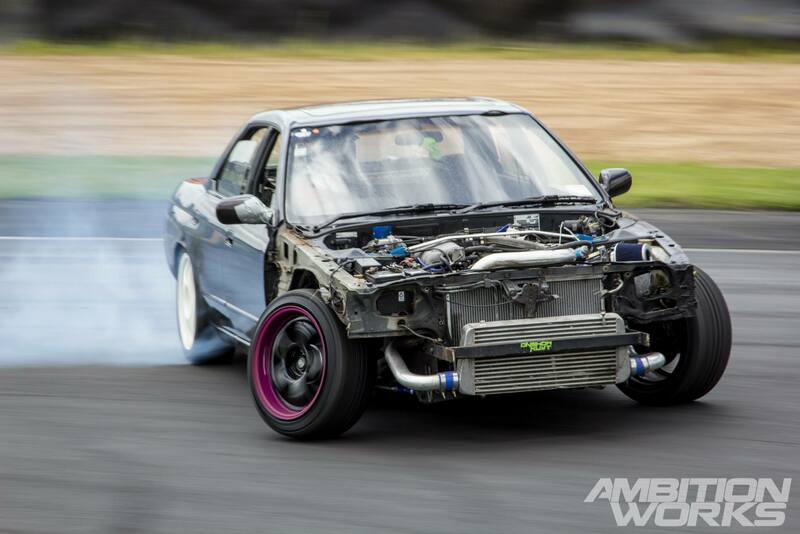 Or maybe a supercharger to take on the full track? One thing there was plenty of were these little contraptions – the almighty MX5. I counted at least ten on the day with the majority of those taking on the course of jagged cones. 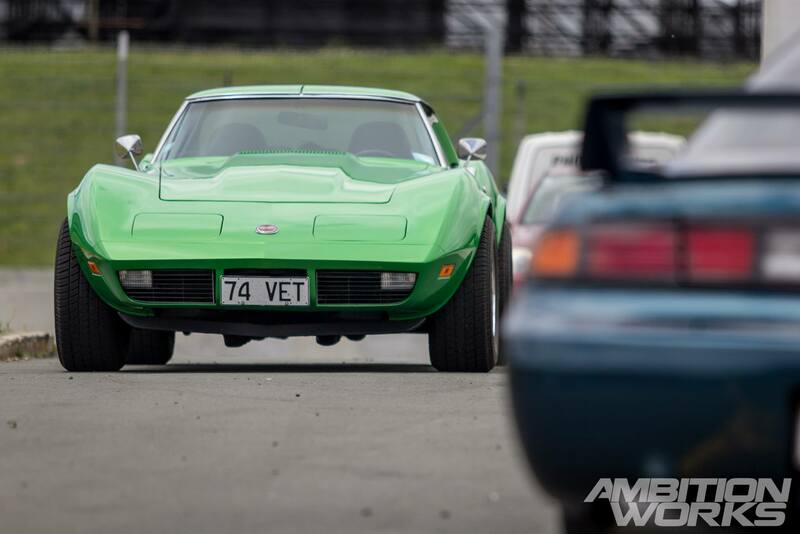 You’ll see a couple of old beauties at the track every now and then. This time I knew the driver, Josh. He let me take a quick couple of snaps before heading off. Wow, it’s tidy! 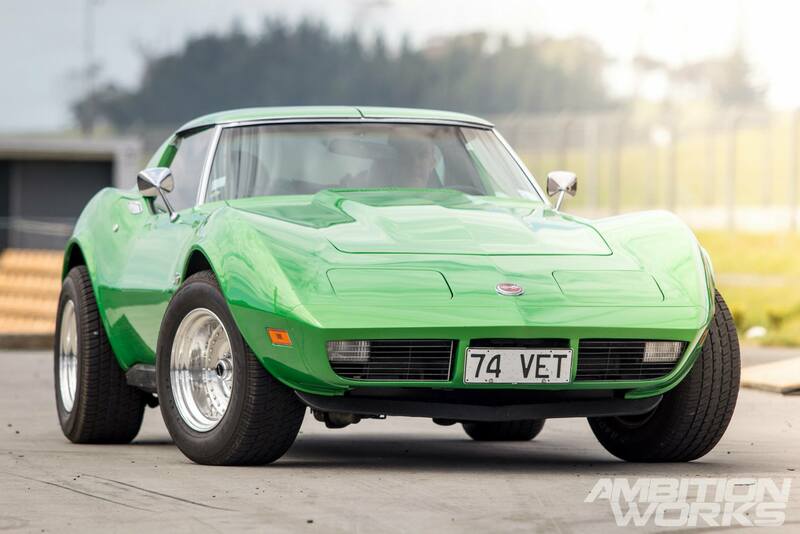 I haven’t seen a corvette so clean up close before. You might have seen the ‘hectic habib’ videos making it’s rounds through Facebook and the trade mark soodudu soodudu soodududu sound he makes. 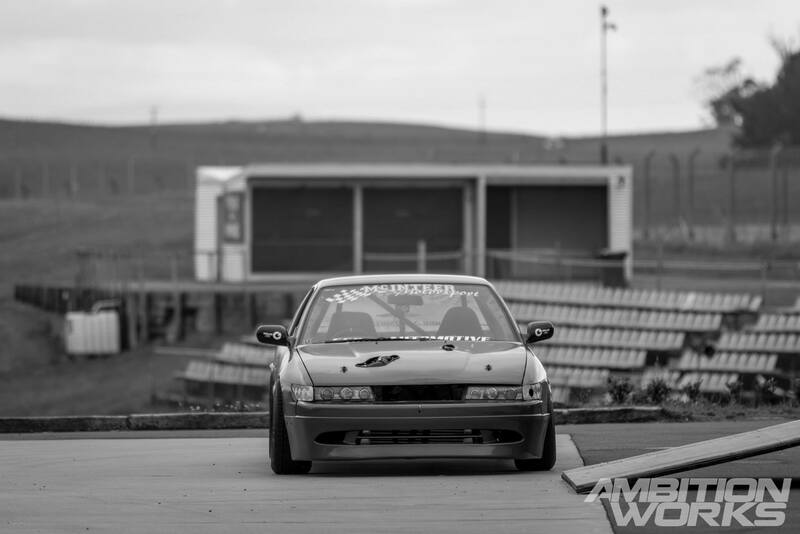 This Holden made that exact noise! Who knew machines could make human noises…? Kouki Apparel had a trade stand on the day with a few bits and bobs, but what I really liked was their 86 on display. It’s such a hard decision to pick a winner out of the old or new 86s, I just want both! Another shot of the VET. I always look at other peoples work in astonishment and wonder how to better my own. Framing is one part of a photo that should not be overlooked. Getting creative with framing can make an average picture into a good one, or a good picture into a great one. Get down in the mud and don’t be afraid to get dirty for that special shot. With the amount of cars out on the track I’m amazed nobody crashed into one another. There were a few close calls and a couple of near write offs, but from what I saw everyone ended the day with their car’s chassis in tack. However that can’t be said about a few driver’s engines sadly. 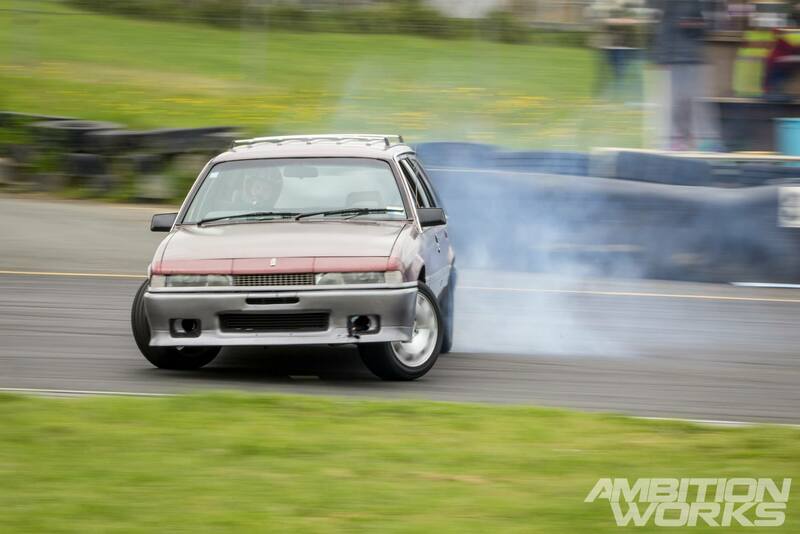 Carey’s first time out in a while was a good one, pulling hectic skids and hella reverse entries all day long, the trusty sr20det lasted all day. It’s daunting when hiring a trailer isn’t an option and you have to drive your drift car to the track and back but Carey didn’t hold back even knowing he had to drive home in his pride and joy! As the day progressed and the drivers started to warm up and gain their confidence. We started to see some tandems appear out of the woodwork. They were much closer in person but the 24-105 lens puts a bad perspective on the photo making them look miles apart from each other. It was one of those “you had to be there” moments. 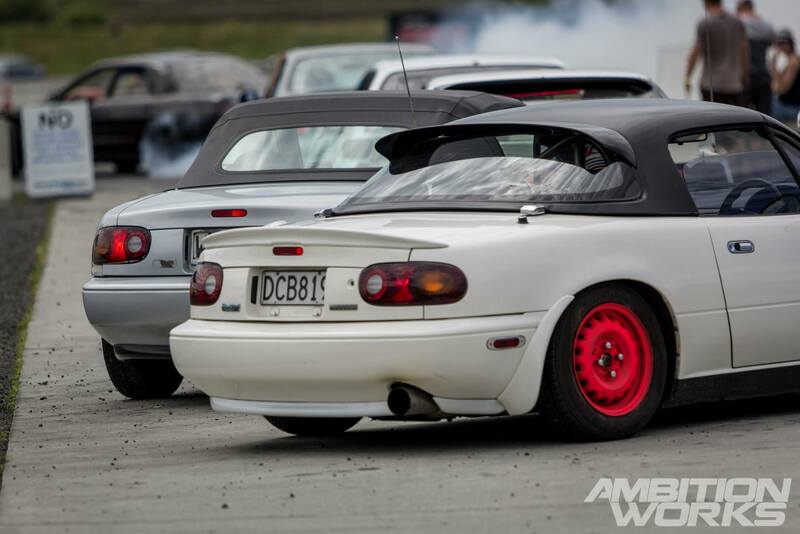 Pernell got to have both of his drift cars at the track for the first time in a long time! What a feeling it must be to see both of your cars on the track at the same time. Being door to door with your best mates. This man is chasing his dreams. Hampton is a tricky track to photograph, with zero shade and the sun glaring through the lens it makes a good chunk of the photos unusable. This is where it’s handy when you can cross the track to take photos with the sun behind you. That’s my second tip of the day, getting the right frame and putting the light in the right place will bring your photo game levels higher. It’s truly amazing how fast a day can fly by when you are in the presence of awesomeness. An 11 hour day can go by in a flash with these surroundings. I wouldn’t have my weekends any other way than at the racetrack in the sun and hanging with mates! So, now that summers just over the horizon, have you let the first bit of light touch your car yet? Dusted the many bits of dirtiness cars acquirer over the winter? Because it’s time to come out and play. 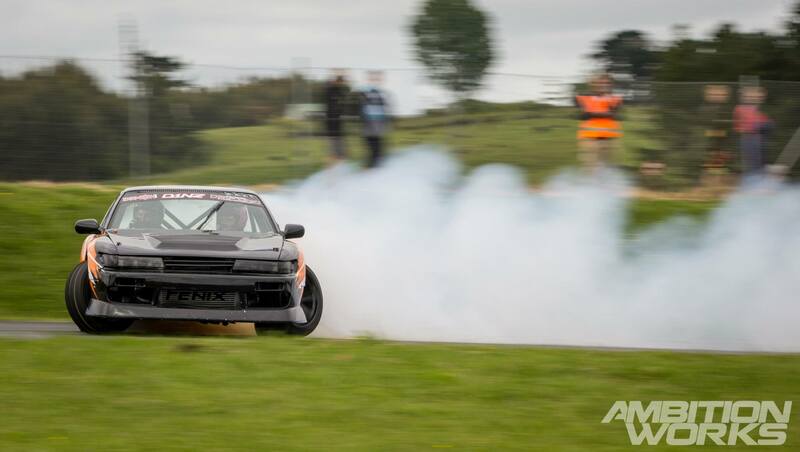 If you like what you see and live in New Zealand, Driftjunkies vs Driftkana are running their last drift day for the year on the 21st of December available for people of all skill levels. More information below. Don’t miss out!